Three-time African champions Nigeria have already secured a spot at the Africa Cup of Nations holding in Egypt this summer, and the encounter against the Pirates is hardly more than an academic affair. 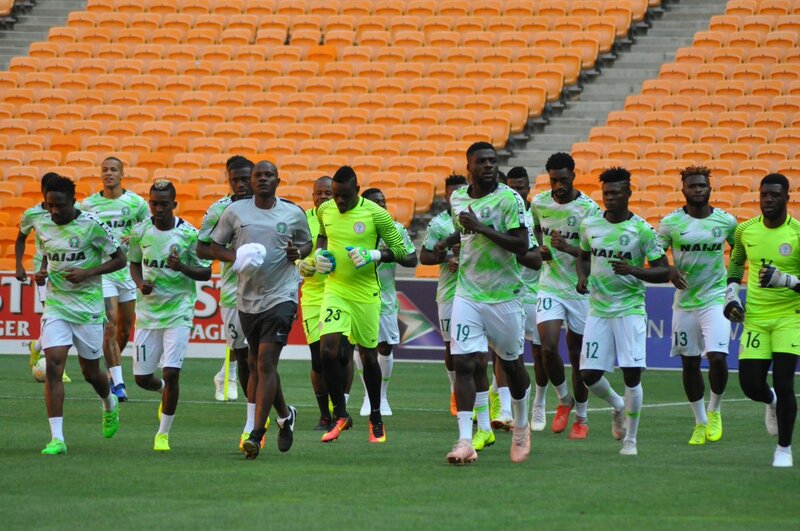 But the Eagles have spoken of a need to end the qualification series on a high and maintain reputation while using the game to kick-start preparations for the AFCON. Goalkeepers Francis Uzoho, Ikechukwu Ezenwa, and Daniel Akpeyi are all in town, as well as home-based professionals Ikouwem Udoh, Ndifreke Effiong and Valentine Ozornwafor. Technical Adviser, Gernot Rohr called up 23 players for the two matches, with Ikouwem Udoh and Ndifreke Effiong leaping onto the list as a result of injuries to Samuel Kalu and Ola Aina.